Headlines have reported the demise of headlice treatments, so what should you advise customers? Based on research from a reputable journal, these stories were worrying enough for health professionals, let alone parents. The only problem is that the media coverage was a tad exaggerated. The original study, published in The Journal of Medical Entomology, did indeed find that most headlice studied showed evidence of genetically developed resistance to the insecticide permethrin. But the study was carried out in the US, and in any event, permethrin is not recommended by the National Institute for health and Care Excellence (Nice) as a headlice treatment in the UK. The only recommended chemical insecticide is malathion (Derbac-M), although some resistance has also been reported to this product. Other products sold in the UK are physical insecticides – such as dimeticone, isopropyl myristate and cyclomethicone – and combs to remove eggs (nits) and lice. While physical treatments don’t cause resistance, they require careful, repeated use to be successful. Physical pesticides act by physically smothering the lice, while chemical insecticides – such as malathion – kill lice by preventing their nervous system from functioning properly. The headlice problem hasn't gone away. Between 4% and 22% of schoolchildren are affected, according to studies cited in the Nice clinical knowledge summary. Infestation causes itching, which in turn can cause scratching and infections such as impetigo. Itching can also interrupt sleep, while another symptom to watch out for is a rash behind the ears and on the back of the neck – the result of hypersensitivity to louse faeces. Many parents are distressed or embarrassed by headlice, especially if they believe (wrongly) that infestation is related to poor hygiene. Paradoxically, the success of headlice treatments over recent decades may be one cause of the louse's persistence, says researcher Ian Burgess, president of the International Society of Phthirapterists (who study parasitic lice). “The number of headlice on anyone’s head is generally smaller than in the past, so harder to spot,” says Mr Burgess. “People with a smaller number of lice that are not detected, pass them on.” Prevalence is now similar to the 1990s, before the physically active treatments came to the market, he says. Community pharmacist Daniel Brash, based in Horsforth, Leeds, believes the reduction in school nurses is partly to blame. "We could get the condition under control with professional support in schools," he says. "It feels like the situation is out of control. Anecdotally, we hear parents saying: 'Yeah, I’m treating it, but I know other people in the class are not'." The Nice clinical knowledge summary on this topic lists options with some level of evidence, including the pros and cons for each. Treatment method is therefore up to the pharmacist and patient. “The choice of treatment will depend on factors such as contraindications and cautions (including the age of the person), the person's choice, what has been tried before, and cost,” Nice says. The main options are physical insecticides, chemical insecticides, and wet combing with louse and nit combs (see Treatments, below). Cost can be a real issue, especially given high rates of reinfection and the potential need to treat the whole family, so parents may prefer the less expensive products. Parents who find the cost of headlice treatment prohibitive – for example, if they have several infested children – should potentially be referred so they can receive treatment on prescription. Customers should be advised to check the whole family and close contacts. Reported ‘treatment failure’ may simply mean that the treatment has not been properly administered, or that people have been reinfested by head-to-head contact with another untreated indvidual. 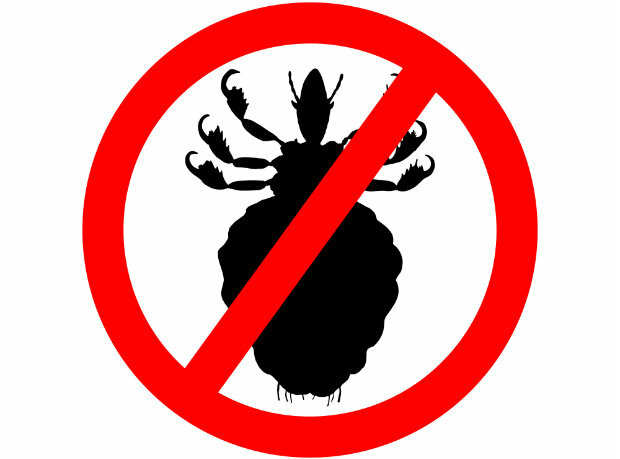 It is not necessary to treat towels or bedding with high temperature washes or fumigation, as headlice do not survive for long away from the human host. When it comes to wet-combing, you should warn parents that thorough treatment takes time – from around 10 minutes for short, straight hair to 30 minutes or more for long, curly hair. 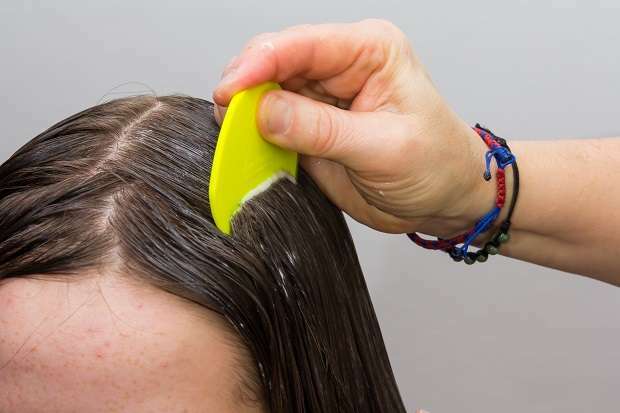 Nice advises that effective combs for finding headlice should be plastic (as metal combs may pull hair out) and have teeth between 0.2-0.3mm apart, to trap lice and nymphs. 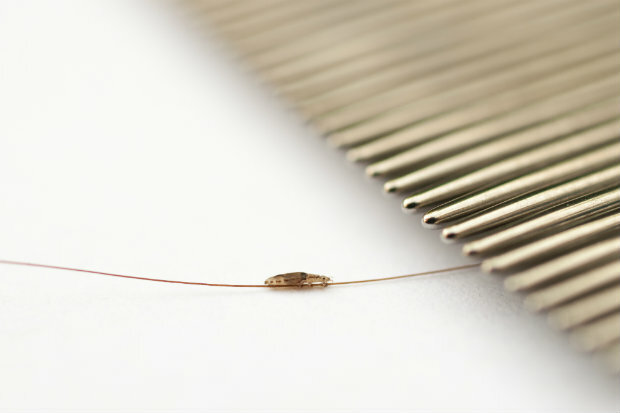 Nit combs are not suitable for lice detection, as their teeth are too close together, and may transfer lice back into the hair. However, Mr Burgess recommends metal combs for removing both eggs and lice. Those with longer teeth can be harder to get through the hair, while shorter teeth can be too springy or fine, he adds. He recommends the Full Marks and Hedrin ranges. The Bug Buster Kit includes the only combs evaluated in randomised controlled trials, and is available on the NHS. The manufacturer recommends repeating the method three times, twice weekly. If full grown lice are found again, families should continue for three more sessions. Advice is similar for traditional physical and chemical insecticides. It’s important to supply enough product to fully cover the hair, as using too little can mean some lice don’t get sufficiently coated, and are left alive. You should advise parents to apply the treatment to all areas of the scalp and all hairs, from roots to tip, leaving the product on for the time the manufacturer states, before washing off. Apply the product again seven days later to catch any lice that have hatched since the first treatment. Parents should check for lice again after treatment, to make sure it’s been successful. Nice refers to more than one suggested time period for checks, including Community Hygiene Concern's suggestion that detection combing be conducted on days five, nine, and 12-13. With such durability, it looks like parents will be turning to pharmacists to aid them in their battle against headlice for the foreseeable future. If a headlouse is detected, Nice recommends either a physical insecticide, a chemical insecticide or wet combing. Isopropyl myristate and cyclomethicone solution, including Full Marks Head Lice Solution (isopropyl myristate and isopropyl alchohol); Vamousse Head Lice Treatment. Chemical or 'traditional' insecticides poison the lice by chemical means. In the UK, the only chemical insecticide that is currently recommended is malathion 0.5% aqueous liquid (Derbac-M), but resistance has been reported. Other combs listed in the drug tariff include the Nitty Gritty Nit Free comb, Nitcomb-S1 and Nitcomb-M2. Note: Pregnant and breastfeeding women, children under two and people with asthma and eczema should use wet combing or dimeticone 4% lotion, according to Nice. The new V-Comb by Licetec, which vacuums lice out, is suggested as an alternative by headlice expert Ian Burgess. It has been introduced since the last update of the Nice clinical knowledge summary, and so hasn’t been reviewed. Treatments not recommended by Nice, due to a lack of evidence, include essential oil-based products and electric combs. 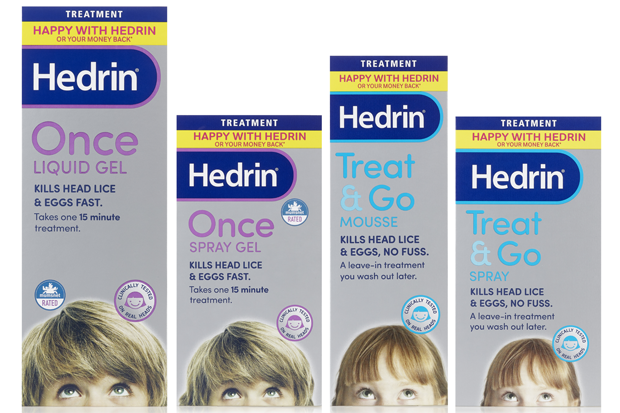 Thornton & Ross has launched a money-back guarantee for its Hedrin range of headlice treatments, which will run until the end of September. The "Happy with Hedrin or your money back" guarantee allows parents to claim a "full refund" if they are not satisfied with the product, the manufacturer says. The offer follows work to simplify the brand's packaging, based on research into the “needs and preferences of mums”, it adds. What's your best tip for ensuring headlice treatment success?